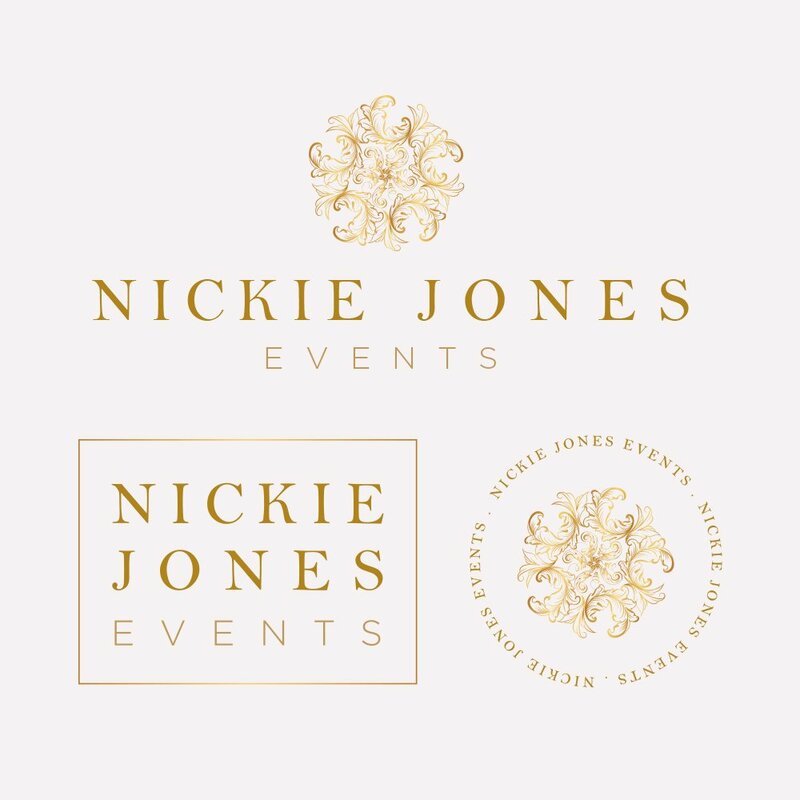 Nickie Jones Events is a floral design and event decorating company in New Jersey specializing in florals, linens and decor rental. They have been featured in several magazines for creating magnificently designed spaces. 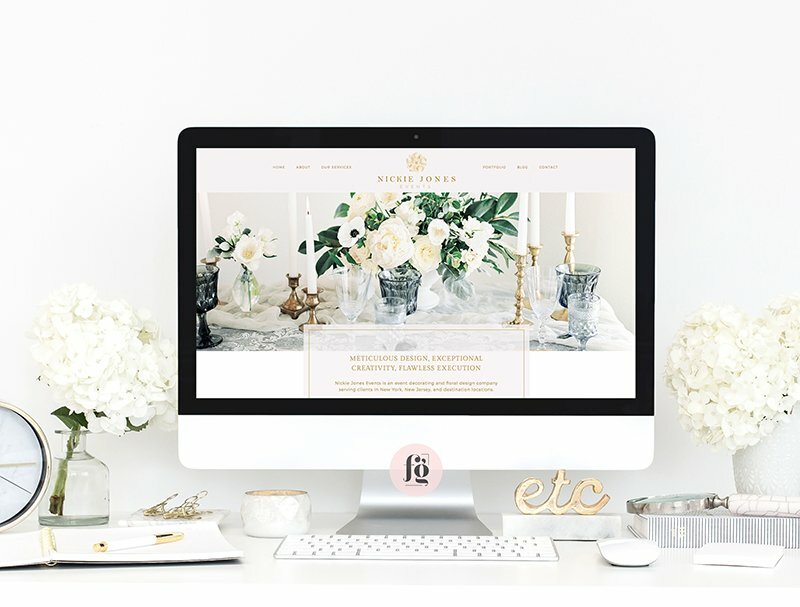 It was such an honor to be chosen to design their logo, stationery suite, and website. It was such a huge pleasure working with Nichole, who knew what she wanted and was willing to do whatever it took to achieve the look she wanted. 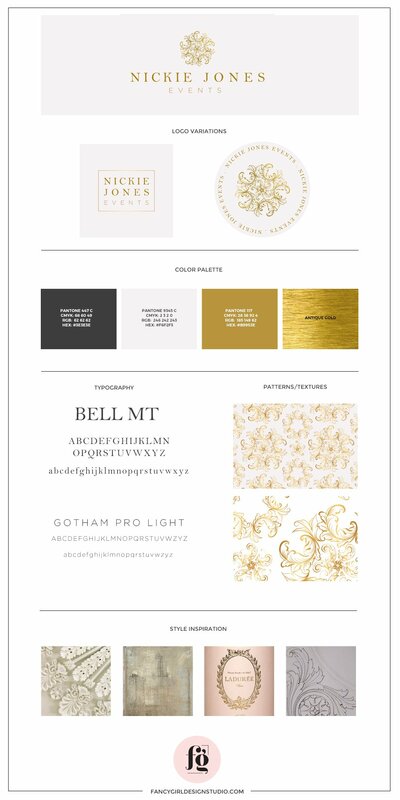 The mood board is full of gracious, meticulous, luxurious details. Exactly how Nichole describes her brand. 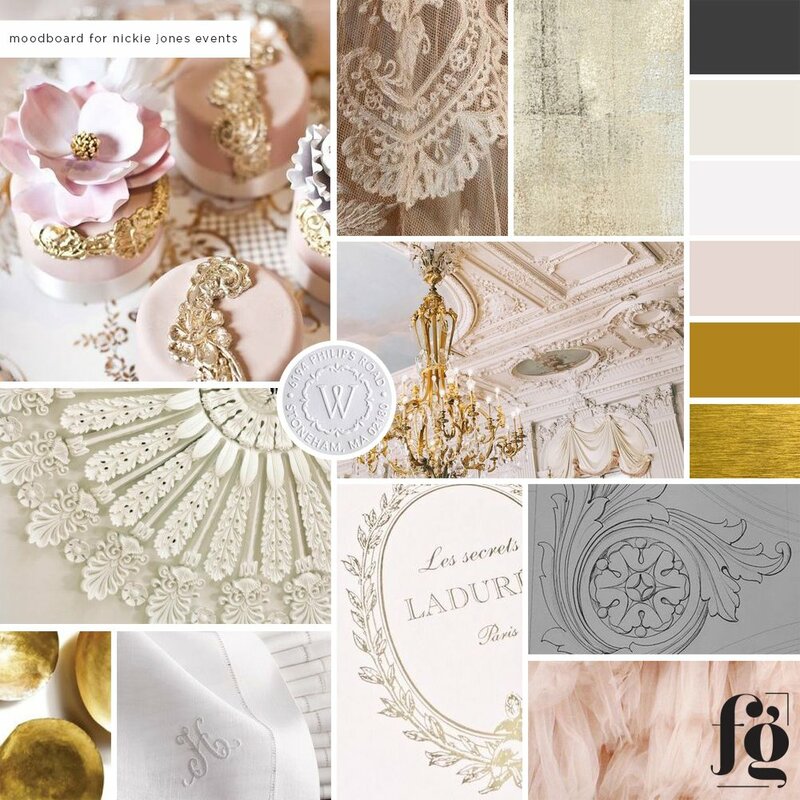 The color palette is very high end – pale ivory, blush, and gold. Nichole wanted something beautifully designed, with a custom emblem in a vintage style. She wanted to stay away from calligraphic fonts because too many wedding planners use them, and she wanted something more classic. I chose the fonts carefully, and really think that the elegant serif with graceful curves works best for her brand. I designed a custom pattern for Nichole and used it liberally in her stationery suite. This ties the look together and gives an elegant overall look. 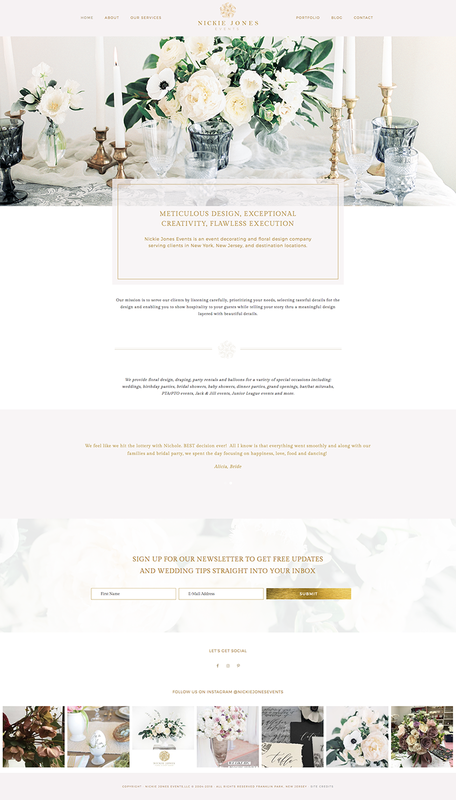 I’m in love with her website. Never have I ever felt this much envy for something I designed for a client! haha! 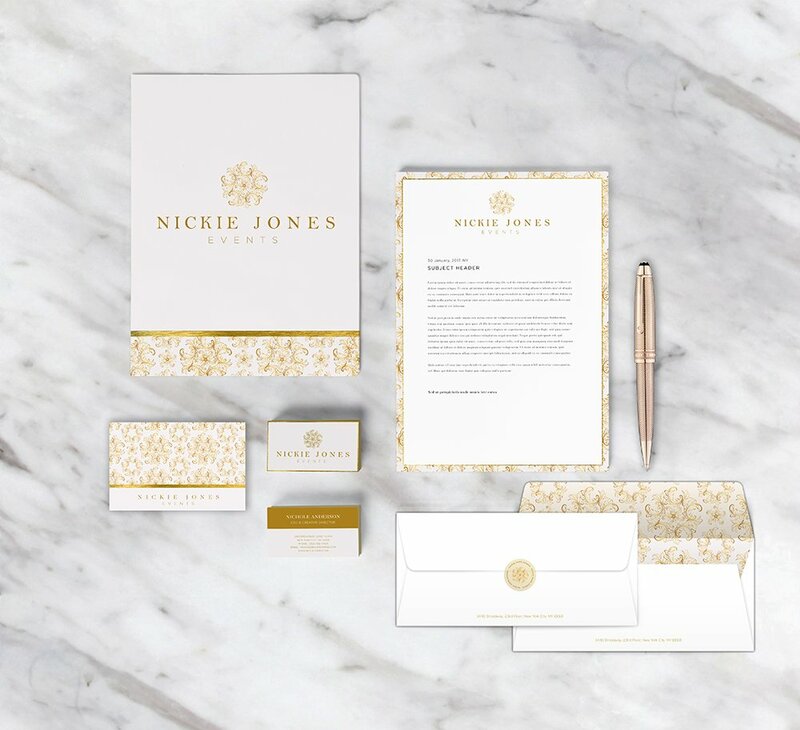 Nichole worked with brand coaches, mentors, copywriters, and photographers to deliver content that will knock your socks off. Web designers can only do so much if the content isn’t great to begin with. It was easy to get inspired as soon as I saw Nichole’s images and copy. 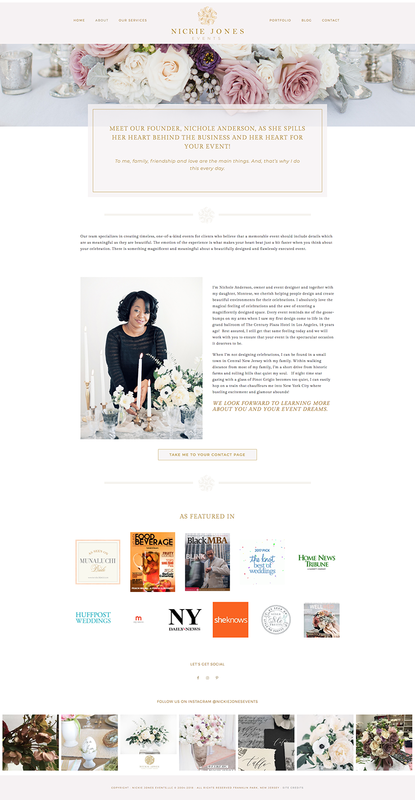 She invested in styled shoots that really conveyed what she wanted for her business and brand. See what I mean? Her images are breathtakingly beautiful and her copy is succinct and well-written. Dream client! And, she was so organized too! Everything was in labeled folders, with specific notes. I LOVE HER. Can you imagine how efficient she must be as a wedding planner? Her website is live, and you can go check it out here.